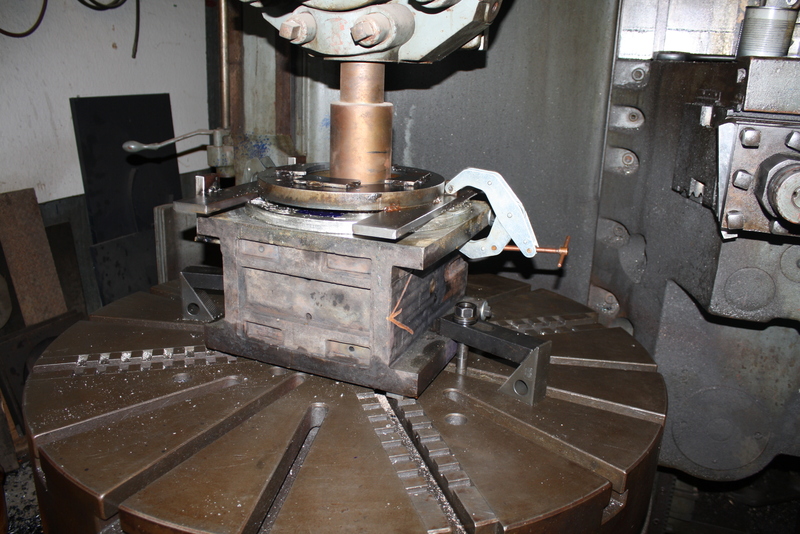 The next step in refurbishing the driving boxes includes building up the surface of the hub face with babbitt, and machining it, as well as the crown brass. Babbitt (named after the inventor) is an alloy used as a sacraficial bearing metal. The structure is made of small, hard crystals dispersed in a matrix of softer alloy. With use, the matrix erodes and provides a path for lubricant. Mold for babitt, devised from clamps and wood blocks. 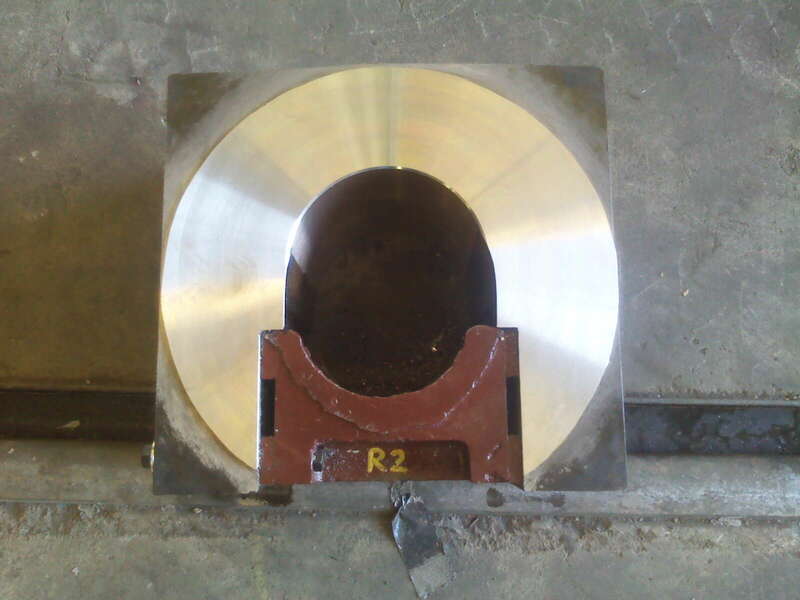 Babbitt surface is uneven before machining. Babbitt can be easily melted in the shop, and then poured into the mold. In this case, the hub face of the driving box was first grooved to increase the surface area, and a block mold formed around the surfaces to be babbitted. 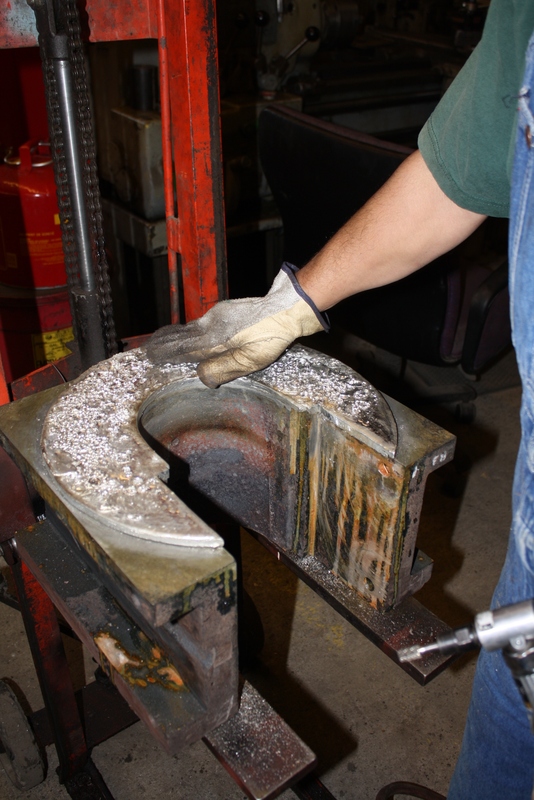 After removing the mold, Erik Young grinds off extra babbitt edges. The unit is then mounted into a custom set up. 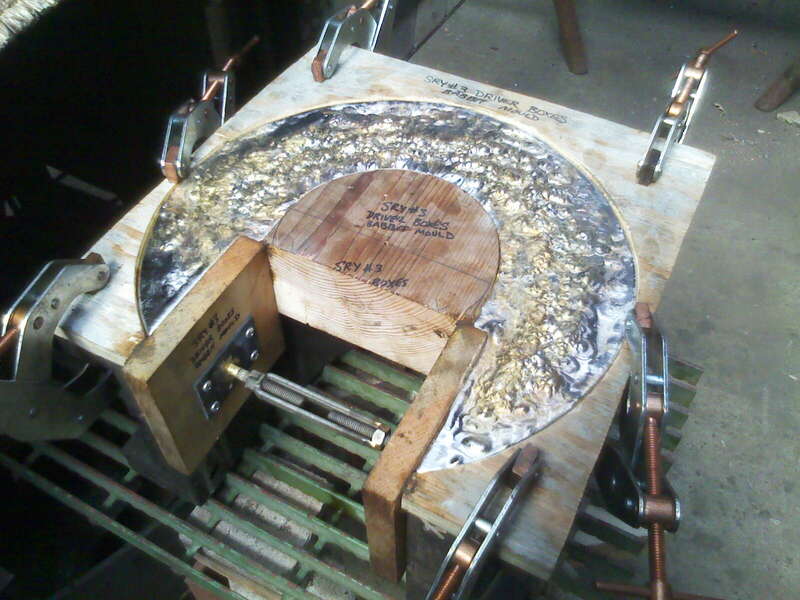 Here, the crown brass is being machined.